‘Inspire’ , a biannual photography event, which aims to showcase the works of Photowalk Bengaluru members, celebrate the winners of previous Photowalks and have Inspiring talks/presentations on select genre of photography. 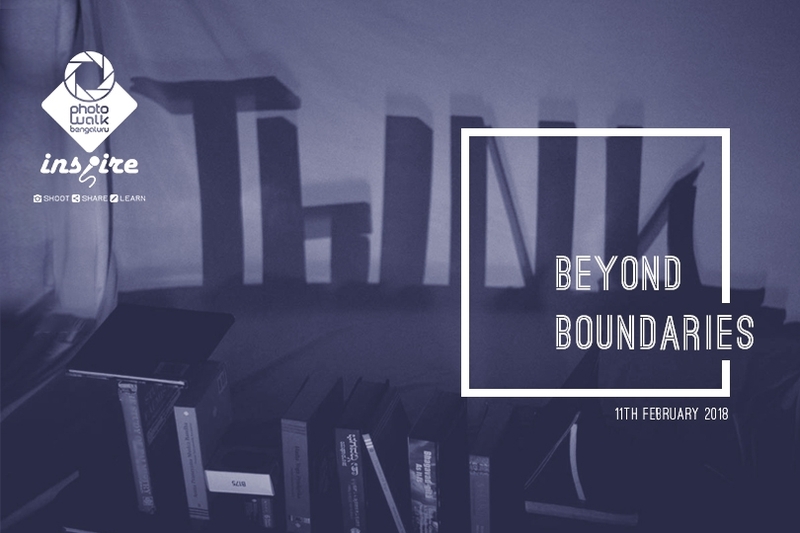 “Think Beyond Boundaries” – the second in the series. 2. ‘Travel & Portrait Photography ‘ – A presentation/talk followed by Q&A – Subodh Shetty. 5. Awards for Theme & Walk winners. Time: 9.00am – 1.00pm followed by Lunch. Royal Airavata Residency, Near RV Engineering College, Mysore Road, Bangalore. Rs.100/- for online registration before 5th Feb.
Rs. 150/- for registration after 5th of Feb and on spot registration.